CUCKOO? Susanna Dinnage who recently resigned as Animal Planet's global president abruptly dumps new English Premier League soccer top job to stay at Discovery. In a shocking and extremely odd, end-of-year, and looking-cuckoo top executive switch and switch-back switcheroo, Susanna Dinnage who was the Animal Planet global president and dumped Discovery to take up the top job as boss of the English Premier League (EPL) has suddenly dumped the EPL to return/stay at Discovery before she even moved to her new corner office. Susanna Dinnage would have become the chief executive of the EPL from 2019 - something she called "the pinnacle of professional sport" and said she was "excited for, and for which the EPL described her as "ideally suited to the role". 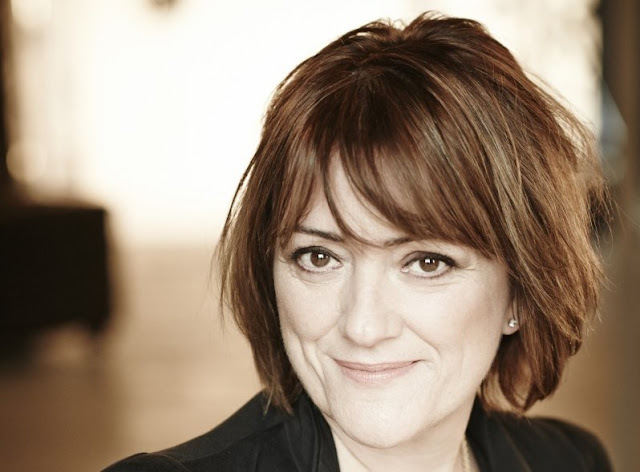 Now in an extremely embarrassing and extremely odd-looking backflip for people in high-profile leadership positions, Susanna Dinnage is no longer going to the EPL but staying put at Discovery - although it might not necessarily be as Animal Planet global boss. Susanna Dinnage quit in November as the first vaunted global boss of Animal Planet a year after she was appointed as Animal Planet global president in November 2017. Before this she was chief content officer at Discovery Networks International. The EPL - seen on SuperSport on MultiChoice's DStv - is the United Kingdom's top football league and hugely popular around the world with expensive and highly lucrative international broadcasting rights. "Despite her commitment to the English Premier League in early November, Susanna Dinnage has now advised the Nominations Committee that she will not be taking up the position of Chief Executive," says the EPL in an awkward statement, announcing that Susanna Dinnage has dumped them and that the EPL will remain leaderless for a while longer. "The Committee has reconvened its search and is talking to candidates. There will be no further comment until an appointment is made," the EPL says in its terse announcement. So far there's also been no announcement from Discovery Inc. on what Susanna Dinnage's new job title and position will entail, with Sunday evening's shock announcement coming just 6 weeks after she said she's leaving. There's also been no statement from Susanna Dinnage on why she abruptly pulled out of her announced commitment to the EPL - something that is causing significant embarrassment for herself, the EPL, as well as to a lesser extent Discovery that is retaining an executive who now looks erratic and impulsive with business decisions. From a funny Netflix Shrek secret to music concerts, here are the best TV specials tonight as 2018 flips to 2019. You don't need to be out in the streets on New Year's Eve to see 2019 in. From a Netflix Shrek secret, Michael Buble surprising shoppers, community channels doing specials, special music and variety concerts as well as a look-back at the year's biggest news stories, here are the best things on TV you can watch tonight as 2018 flips to 2019 for what will be the Chinese year of the pig. On your couch you will have a better box that the seats of the British royals watching this year's glamarama variety performance in the London Palladium. Highlights of this year's concert with the comedian Greg Davies as the host, include Take That and opera singer Andrea Bocelli singing with his son Matteo. Other acts include Cirque du Soleil, Rick Astley, George Ezra and many more. Now into its 8th year, the annual iHeartRadioFestival is a 2-day music festival in Las Vegas that features over 30 of the biggest American performers across genres and formats. Tune in for the SABC's annual New Year's Eve music extravaganza with local talent singing and seeing the new year in for three hours until midnight. South African artists perform and have the crowd on their feet as the world awaits 2019. Music until midnight on Cape Town's community TV station. 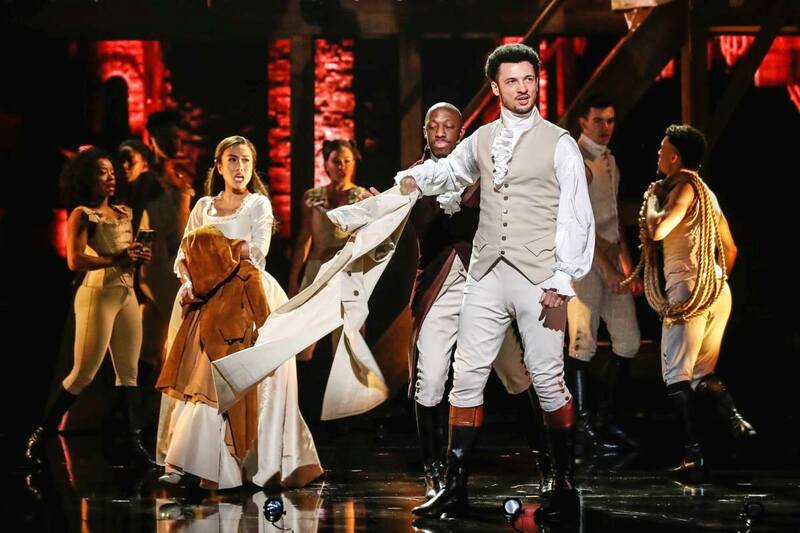 Afrikaans viewers are catered for with a replay of the 2017 concert of Afrikaans is Groot, featuring well-known songs by some of the biggest Afrikaans artists and musicians, including Laurika Rauch, Bobby van Jaarsveld, Riana Nel and others. Sky News' correspondents and anchors look back at all the big news, sport, business and entertainment stories of the year that was. Michael Buble performs classic tracks including Cry Me a River and Feeling Good alongside some new songs and also goes undercover as a sales assistant at a London department store to surprise a few unsuspecting fans. A 2019 New Year's special for teens, giving them the opportunity to create their own show by requesting 5 of their favourite tracks and telling viewers about them and who they are dedicating it to. This is hilarious. Netflix on Twitter this morning had this enticing message for users of the global video streaming service: "If you start watching Shrek at 22:39:04 on New Year's Eve, a bunch of magical fairy tale creatures will start playing the Eddie Murphy and Smash Mouth version of 'I'm a Believer' precisely at midnight, in case anyone is looking for the perfect way to celebrate". Anderson Cooper and Andy Cohen have fun alongside CNN correspondents and Hollywood stars live from Times Square in New York as they wait for the crystal ball to drop. Bandersnatch: What you need to know about Netflix's first live-action, interactive, feature-length choose-your-own adventure TV episode that's part of the Black Mirror anthology series. 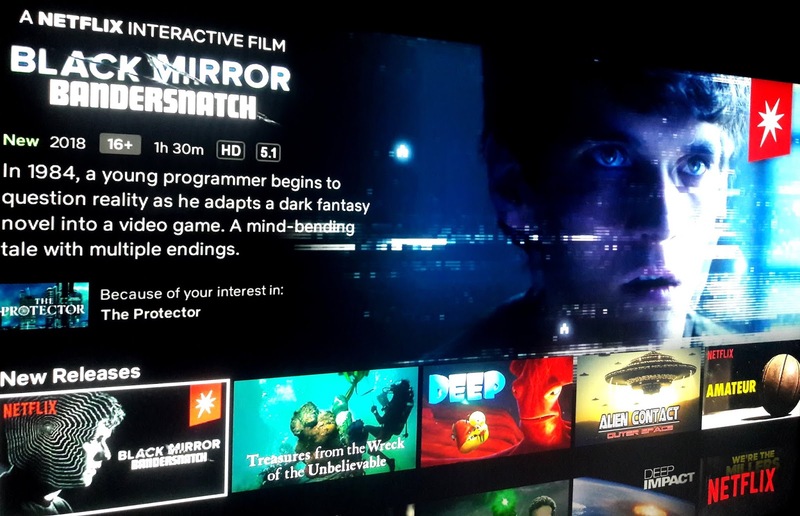 Netflix just made its first interactive, choose-your-own-adventure TV episode available for adult viewers - a feature-length episode of the science fiction series Black Mirror, entitled Black Mirror: Bandersnatch - that has 5 different endings and multiple different choices, storylines and scenes depending on the viewer's decisions during the course of the film. Even the same scene that might appear in more than one version of a story will be different, filmed differently and from a different angle as the perspective changes depending on small and big choices throughout the story, as well as characters who are included or who are not present, depending on what had already happened. Black Mirror: Bandersnatch is virtually torrent and illegal download proof since its in-built decisions makes it non-linear as viewers have to watch and interact with the horror drama on Netflix and shape the narrative, with every decision changing the unfolding story. It's the global video streamer's first live-action TV episode for adults after interactive shows like Puss in Book: Trapped in an Epic Tale and Minecraft: Story Mode. Bandersnatch, coming before the 5th season of Black Mirror in 2019, further fuels the phenomenon of binge-watching, with viewers who might want to re-watch and re-choose various different options to see a different version of the story unfold, as they try to literally guess their way to the "perfect" ending. Bandersnatch follows a young British programmer named Stefan (Fionn Whitehead) in 1984 in the United Kingdom, trying to create and to create his own best version of a computer game that is based on a choose-your-own-adventure novel, entitled "Bandersnatch" that was written by a controversial author who went crazy and murdered and beheaded his wife. "In 1984, a young programmer begins to question reality as he adapts a sprawling fantasy novel into a video game and soon faces a mind-mangling challenge," the official Netflix description reads. However, since Black Mirror is a science fiction anthology series, is on Netflix, and is an interactive episode/film dealing with decisions about someone trying to create a choose-your-own-adventure game, Bandersnatch is incredibly "meta media" (including about Netflix), extremely self-referential, and contains numerous Easter eggs, complete with difficult and "secret" cut scenes just like in video games. Also keep in mind that a "bandersnatch" is a fictional creature in Lewis Carroll's 1872 novel Through the Looking-Glass. The "Through the Looking-Glass" is thematically the important part here. 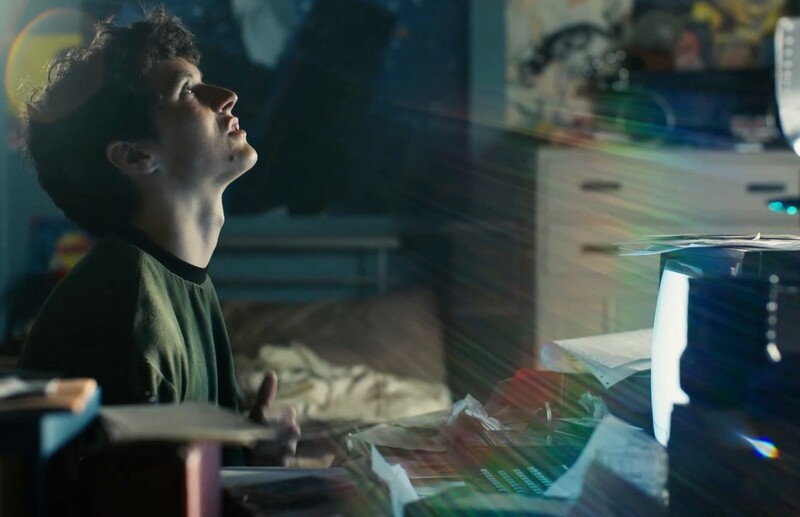 What makes Bandersnatch interesting - and incredibly complex - is that individual, "once-off" decisions don't just affect the scene and scenes playing immediately after, but in fact network and link together collectively throughout the entire story to create many multiple variations of the narrative. This leads to a profusion of different versions of the film, with one of 5 different endings. However, each of the five endings will have contained an almost infinite number of woven together story experiences, creating an untold number of variants of each of the five endings. Even the post end-credit scene contains secrets. Is your psychologist a secret ninja? Bandersnatch can go from 90 minutes to over 2.5 hours depending on a viewer's choices, and the aim is to "help" Stefan or to get to a "happy" ending where he's produced the best-possible game - a 5-star rating when it's reviewed by a British TV show. The best review however doesn't mean that Stefan or the other characters necessarily remain alive for this to happen. There are however no real "good" or "bad" choices, and if you "redo" the story after you get to your first ending, Bandersnatch will restart but start to create shortcuts skipping over things the creators know you've already seen, and give short summary scenes of what you would already have seen, bringing you to new choices. How about shaking things up and turning the psychologist into a ninja with a fantasy physical fight scene for instance? Or telling Stefan you're watching him from the "future" through Netflix or giving him other clues? There can exist no real linear broadcast version of Bandersnatch since it was made to be an interactive experience with and for the viewer. Besides multiple Easter eggs, Bandersnatch also contains a so-called "golden egg" - an almost impossible to get or virtually impossible scene for viewers to get or reach. The trick? Choose "Pick up Family Photo" - and do so twice - if/after a viewer manages to get and chose for the character of Colin Ritman to visit Stefan in a dream. To make things even weirder there is also a so-called "Netflix ending" - one where Stefan is told and realises he is being controlled by a "21st century streaming service", a director yells out and a confused Stefan is told he's actually an actor named Mike, with Stefan's dad who rants about Netflix being in control, and the camera pulling out to reveal the setting as being just a movie set. To make things even more weirdly wonderful, Bandersnatch's post end-credits scene actually leads to a website, www.tuckersoft.net/ealing20541, where viewers can download and play Colin's Nohzdyve computer game seen earlier in the story - a game that is itself another Easter egg to the Black Mirror's "Nosedive" episode. SABC News erroneously reports that South African deputy president David Mabuza has died instead of government spokesperson Joseph Mabuza. 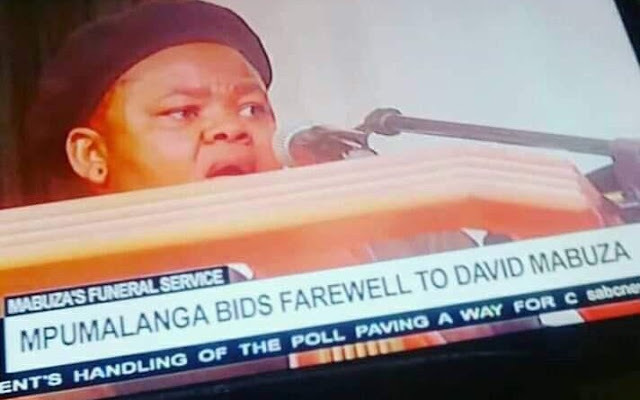 The SABC's SABC News (DStv 404) wrongly reported that deputy president David Mabuza died on Saturday, erroneously using his name instead of that of Joseph Mabuza, the Mpumalanga community safety spokesperson who died on Saturday. Joseph Mabuza (47) died Saturday afternoon in a hit-and-run accident when his motorbike was involved in an accident with a bakkie on the N4 at Hectorspruit while he was travelling to Mbombela. So far there's been no public apology from the SABC or SABC News about the David Mabuza on-air gaffe. It's the latest embarrassing on-air TV news mistake, one of several, the SABC and SABC News did this year. The SABC did away with multiple freelance workers working at SABC News this year - the channel that the SABC produces for MultiChoice's DStv satellite pay-TV platform. 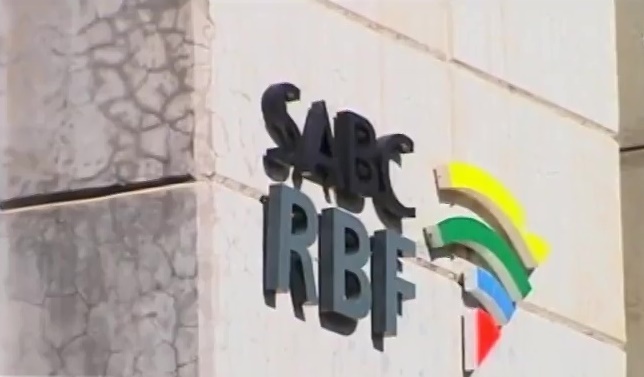 The commercially insolvent South African public broadcaster plans to fire thousands of workers in early-2019 as part of drastic cost-cutting and its latest turn-around plan of which the details remain sketchy. M-Net and MultiChoice Africa runs first-ever East Africa Movie Fest pop-up channel for DStv subscribers for 8 weeks in East Africa. M-Net for the first time ever launched a pop-up movies channel specifically for DStv subscribers in East African countries called East Africa Movie Fest, running until 3 February 2019. East Africa Movie Fest started on 10 December and will run for 8 weeks during the end of the year and beginning of the year festive and holiday period. 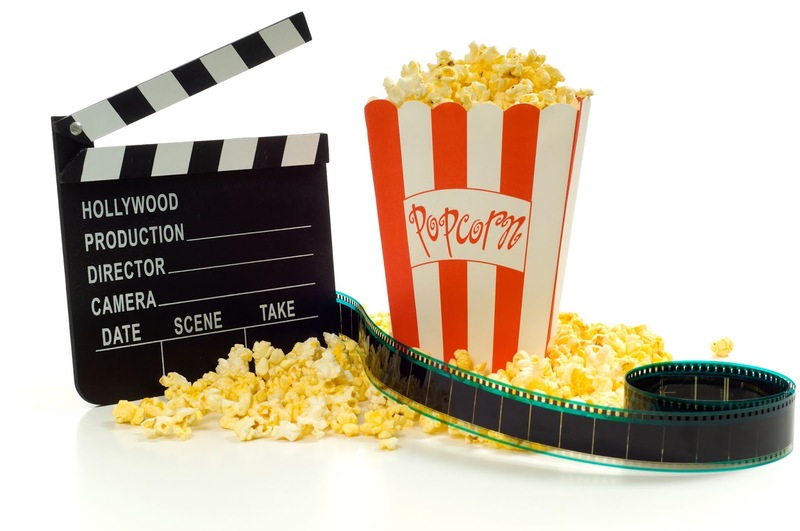 East Africa Movie Fest starts at 15:00 daily, running until midnight, and features movie titles from the Maisha Magic Bongo, Maisha Magic East and Pearl Magic channels. East Africa Movie Fest is available to MultiChoice Africa's DStv Premium, DStv Compact Plus and DStv Compact subscribers in East Africa on channel 197. East Africa Movie Fest shows films from several countries, including Kenya, Tanzania, and Uganda. M-Net and MultiChoice to run a M-Net Movies Game On film channel for 3 weeks from mid-February 2019 featuring iconic sports movies and documentaries. M-Net's M-Net Movies division will be doing a M-Net Movies Game On pop-up channel from just over three weeks from 22 February 2019 to 10 March comprised of iconic sports movies and documentaries. The Game On sports movie channel will be MultiChoice's first pop-up TV channel for 2019 and will bring DStv subscribers sports heroes - real and invented - on M-Net Movies Game On, showcasing people battling against the odds under trying circumstances, with dreams of glory. M-Net Movies will release a list of films and the schedule later early in 2019 for M-Net Movies Game On that will run on DStv channel 109. It's not yet clear which DStv subscribers will be having access to the channel. "It comes as no surprise that sports movies are among many people's all-time film favourites," says Lani Lombard, M-Net's head of publicity. "They tell universal tales of the human spirit overcoming seemingly insurmountable obstacles - of the underdog rising to glory, or team camaraderie winning the day against more skillful rivals. The M-Net Movies Game On pop-up channel will be a knockout." China's pay-TV operator StarTimes now wants to bring digital terrestrial TV to São Tomé and Príncipe. China's StarTimes pay-TV operator that has aggressively invaded Africa and continues to take over African countries' digital terrestrial television (DTT) processes has now set its sights on São Tomé and Príncipe, the African island nation on the West-Africa coast. StarTimes as a private company supported by China, is now going to "modernise" the São Tomé and Príncipe state-run television and radio networks to "help improve" the island nation's telecommunications there, STP-Press, the official news agency of São Tomé and Príncipe, reports. STP-Press quotes Jorge Gu, StarTimes executive director, as saying that StarTimes will invest in São Tomé and Príncipe state broadcaster, after a meeting with Jorge Bom Jesus, São Tomé and Príncipe prime minister. "We discussed how to bring digital television to all São Tomé and Príncipe families, and to improve its quality." "StarTimes has the technology and the ability to produce content to operate and help local government." Adelino Lucas, São Tomé and Príncipe secretary of state, says StarTimes' investment in the island nation's TV and radio will improve its education, culture, and tourism. Adelino Lucas said São Tomé and Príncipe's broadcasting emitter park is "completely obsolete" but that São Tomé and Príncipe now "has the StarTimes team". StarTimes, as it has done with other African journalists in other African countries, will now also send journalists from São Tomé and Príncipe to Mozambique along with other Lusophone Africa journalists, and also to the StarTimes headquarters in Beijing, China for "educationals" and training. China's StarTimes is coming under increasing criticism for the way in which it has co-opted and to varying degrees taken over the DTT process of state-run and so-called public broadcasting in African countries by ensnaring African governments in seemingly corrupt contracts and massive loans that means the DTT broadcasting systems in nations would revert to Chinese control if governments fail to honour multi-year loan agreements. StarTimes, with support from the Chinese government, is battling Naspers' MultiChoice for signing up and keeping a growing number of pay-TV households in South Africa and across the rest of sub-Saharan Africa as more and more consumers add subscription television services to their discretionary spending. Naspers will spin-off MultiChoice South Africa and MultiChoice Africa as The MultiChoice Group during the first half of 2019 when it lists separately on the Johannesburg Stock Exchange (JSE). 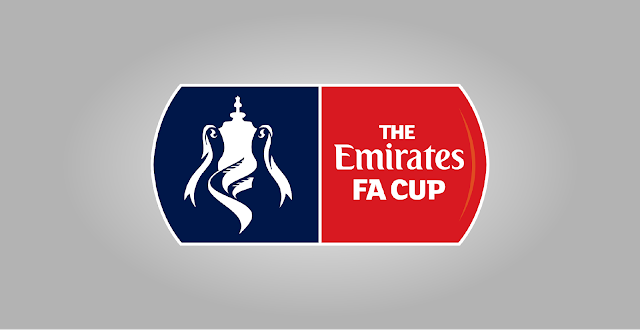 In an about-turn MultiChoice Africa and SuperSport have reacquired The Football Association (FA) Cup and will now broadcast the remainder of the 2018/2019 season that started in August 2018, kicking off with third-round matches that will be broadcast from 4 to 6 January 2019. In August MultiChoice and MultiChoice Africa told DStv subscribers that it didn't pick up the FA Cup rights for the 2018/2019 season and that it won't be screened on SuperSport, followed by criticism in the media and from DStv subscribers. DStv subscribers have been furious and venting about MultiChoice and SuperSport's lack of licensing the FA Cup. SuperSport blamed the weakening rand for not having acquired competitions like the FA Cup, saying in October 2018 that "adverse economic circumstances, such as foreign exchange fluctuations and increased competition in the sports rights market, have resulted in it becoming increasingly difficult to acquire expensive rights such as these." Now in a sudden about-turn, DStv subscribers will see the remainder of the FA Cup season. The FA Cup will jong the Premier League, Serie A, La Liga and the Champions League on SuperSport that will also start showing UFC from January 2019. "Our aim is to deliver a front-row view of the best football titles in the world for our valued DStv and GOtv customers, so from 4 January 2019, they will be able to enjoy the FA Cup on SuperSport channels," says Hennie Visser, MultiChoice Africa CEO. "All of these acquisitions are part of our continuous efforts to put our customers at the heart of everything we do by making sure we deliver quality service and the world's best entertainment at great value to our customers." 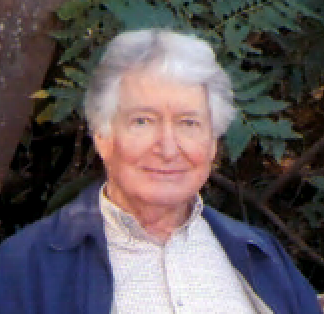 South African TV broadcasting veteran presenter and producer, Pat Rogers, dead at 87. A South African veteran TV presenter and producer, Pat Rogers, has died on Sunday in Somerset West after a short illness. He was 87. Working at the SABC where he was a presenter of current affairs programmes like Midweek and Agenda, he eventually left the South African Broadcasting Corporation, then more and more becoming a National Party (NP) propaganda mouthpiece, after conflict with management. Pat Rogers will also be remembered for lodging a complaint with the SABC and the Broadcasting Complaints Commission (BCCSA) in March 2003, then working for the Catholic community radio station Radio Veritas, after observing that the SABC News was censoring its/the news by refusing to cover a story dominating the news at the time, namely that the Scorpions at the time were investigating Jacob Zuma implicated in the controversial Arms Deal scandal. Pat Rogers will also be remembered for how he submitted a proposal in 1994 to parliament's committee on justice, saying that proceedings of the Truth and Reconciliation Commission (TRC),South Africa's parliament, and courts should be covered and broadcast live on South African television and radio - a change that was eventually implemented. Pat Rogers who also worked for the South African Press Association (SAPA) and Rhodesia Television, where he resigned after being ordered to censor the TV news by Kenneth Kaunda,was also the first news editor of the 702 radio station. Pat Rogers also worked for Australia's public broadcaster, the Australia Broadcasting Corporation and was a co-presenter of its This Day Tonight current affairs programme. Pat Rogers leaves behind his wife Anne, his son Guy, stepchildren Nicholas and Jane, and three grandsons. M-Net doubles up on love-seeking reality with Finding the One produced by Okuhle Media; now looking for people to enter. M-Net is doubling up on love-seeking reality and has commissioned Finding the One, a new blind-dating reality show as a companion show to The Bachelor South Africa that will start on the channel on Valentines Day, 14 February 2019. 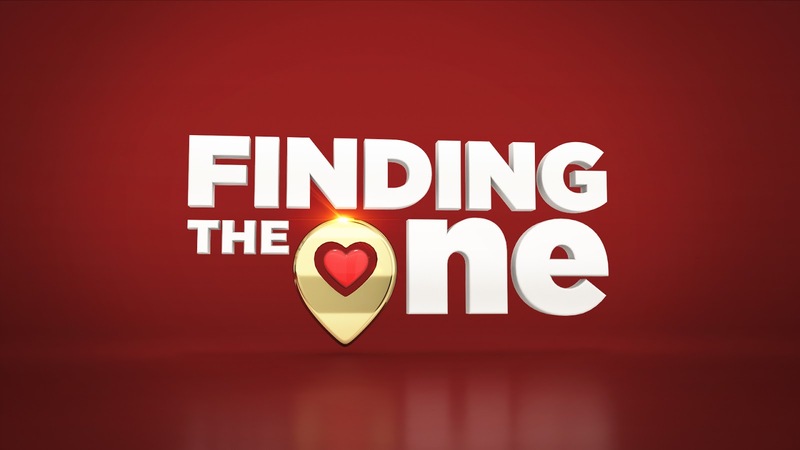 Entries for Finding the One will close on 14 February, with the new series, produced by Okuhle Media, that will start on M-Net (DStv 101) during the second half of 2019. Finding the One, described as "a fresh and fun-filled highly original new blind-dating reality show" is specifically for "everyone who has lost faith in impersonal online sites and apps for desperate singles", as well as people who have had their hearts broken too many times in the past. "Finding The One will hand back the matchmaking power to real people, the ones who know you best – your friends and family," says M-Net. People who want to find the one - with a little help from their loved ones, or who want to nominate a lonely soul deserves your help, can enter at www.mnet.tv/findingtheone. In Finding the One, three people who want only the absolute best for a single friend or family member, join forces to take on the important task of identifying three potential love interests from a dating pool. During the first crucial phase, the panel of three will sift through potential dating diamonds and dust. They will consider every single piece of information they can dig up about the potential love matches, grill them with difficult questions, dissect their social media profiles and conduct compatibility gauges. Once the investigation has been completed, three candidates will get the green light for a group date with the panel, allowing them to probe a little deeper, test compatibility and size up the candidates. This is also where the power starts to shift. The panel now also has to persuade the potential love interests, and the final chosen one, that their single friend is indeed a catch in a million. Will the panel manage to identify and hone a true "connection"? If it's a "yes", their chosen one will go on a high-stakes blind date with their single friend. If not, the friend will arrive alone at a romantic dinner table for two. The question is: Do your friends "get you" enough to find you the one, and will that one be attracted to you in return? "There's a great deal of jeopardy involved in this one-of-a-kind new dating show that will create loads of drama, suspense and fun," says Lani Lombard, M-Net's head of publicity. "We have been bringing viewers local versions of the very best big-format international reality shows, but shows like The Wedding Bashers and The Wild Ones have recently showed that our viewers also crave formats that are created by our own content creators." "Finding the One is an innovative, entertaining way of showcasing South Africans who want to do what’s best and see their dear ones happy and in love. It's a great family show with which everyone will be able to identify!" M-Net is looking for a diverse array of potential love seekers across genders and sexual preferences. You have to be South African citizen and be over the age of 18 and single – either never married or legally divorced. The three panel members can include family members, colleagues, friends or even former lovers, who will know your romantic needs, and meet the requirements stipulated in the terms and conditions published on the M-Net website. Local drama about izinkabi paid assassins, eHostela, coming to Mzansi Magic from January 2019. 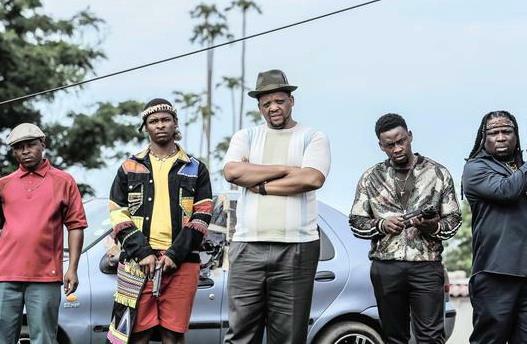 A new local drama series about the murky world of paid assassins, eHostela, that was filmed in KwaZulu-Natal, is starting on Mzansi Magic (DStv 161) on 6 January at 20:00 as a new Sunday night drama. eHostela was shot entirely in KwaZulu-Natal, with the 13-episode series that was produced by Stained Glass Productions, also responsible for SABC1's Uzalo. eHostela will chronicle the mysterious and dangerous world of paid assassins (izinkabi) bound by loyalty and secrecy through the eyes of a young inkabi, Mdeni (Thobani Nzuza) - the adopted son of a ring leader Mancinza (Bheki Sibiya). Mdeni doesn't want to kill but has a dream to follow his real passions - maskandi music. All seems to be going according to plan with Mdeni agreeing to one last hit, but his loyalty to his family is questioned when he meets Khethiwe (Lungelo Mpangase) at a maskandi competition and allows himself to fall in love - plunging his life into turmoil. Besides battling a more violent brother, Jama (Wiseman Mncube) who is Mancinza's biological son, things get worse when Jama's rage and jealousy spirals out of control when it's revealed that Mancinza planned to leave the family business to the more reclusive Mndeni. Meanwhile, the local South Africa Police Service is incapacitated by fear and doesn't dare set foot in the infamous Delafuka Hostel's surrounds. Detective Brightness Sithole (Zola Nombona) has been transferred to the region and she has a lot to prove in this hostile male-dominated setting. She is assigned to the KwaDela police station situated just outside the dangerous hostel and believes that The Brotherhood are the cause of the lawlessness in the community. She is hellbent on breaking the world of corruption, murder and crime. Her partner, detective Nkomo (Martin Ziqubu) is widely respected in the community and highly celebrated in the police force. He lost his former partner to the Delafuka Hostel, when the hitmen sent a strong message to the police about their "territory" and Nkomo has an axe to grind. "Mzansi Magic viewers will be exposed to the desperate lengths one is willing to go to for love, set against the backdrop of a world bound in blood and uncompromising loyalty," says Reneilwe Sema, director of local entertainment channels at M-Net. 'Twas the day before Christmas, so here are 10 really great streaming TV series to binge-watch during the holiday period. 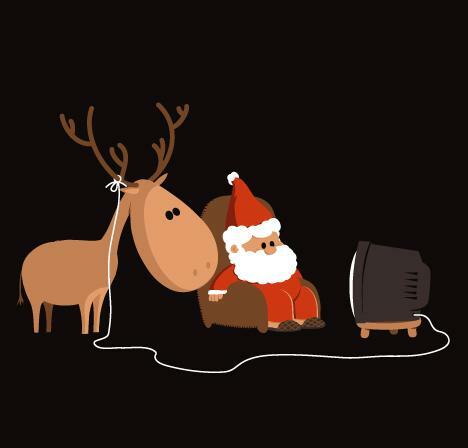 'Twas the day before Christmas, so here are 10 TV shows on Netflix, Showmax, Amazon Prime Video, YouTube and DStv Now that you can stream watch and will definitely enjoy during the Christmas holiday season. Perhaps you know the brilliant book series, A Series of Unfortunate Events by Lemony Snickett. Perhaps you don't. Perhaps it's actually better if you don't. It's so sad and about orphans, and death, and disaster. A lot of disasters actually. The wonderful series stars Neil Patrick Harris as the evil Count Olaf, constantly scheming to get his hands on the inheritance of the Baudelaire children, Violent, Klaus and little Sunny (who bites). Before the third and final season covering the last books, catch up on the first and new second seasons of this beautifully done story. While you're waiting for the final season of Game of Thrones coming to M-Net (DStv 101) in 2019, use this time to catch up on this Nordish "game of thrones". Showmax is adding the episodes weekly of the just started second half of the 5th season of this series about vikings that is inspired by the legends of one of the best-known Norse heroes, Ragnar Lothbrok. The characters are rich and multifaceted, the plot unexpected, and if you love Thrones we can fully guarantee that you will love this viking drama spectacle. Daleks will probably come hunt the BBC for this but the Beep has broken with tradition. No, not for choosing a woman to take over from a man (here's looking at you Jodie Whittaker) from the current 11th season, but for moving the traditional Christmas Day episode to New Year's Day. This year the season ender special additional episode that used to be on Christmas Day is moving to 1 January 2019, with Showmax that will have it on 2 January. This time it's actually set on, and taking place on New Year's Day and the producers are promising "a big, thrilling, explosive, moving, cheeky, surprising treat". There's been basically no publicity for this but that's why we're here to tell you about Origin, a brand-new YouTube Original series that was filmed in Cape Town. Set in space, you can watch the first two episodes of this 10-episode drama series for free on YouTube. A group of people wake up aboard a space ship heading for a far-flung planet to colonise, after some type of a disaster. Oh, let's end the suspense - something is onboard! A mysterious alien thing. The survivors have to figure out who the alien inhabited, and it has a weak spot: memory. Tom Felton who was Draco Malfoy in Harry Potter is all grown-up (and still rude and ugly to everyone). Is he the alien? Imagine The OC, Gossip Girl, Beverly Hills 90210 and How to Get Away with Murder all rolled into one, set at an elite (hence the title) private high school where one of the pupils have died. This new 8-episode teen drama series is utterly compelling and there's something you don't have to worry about: It's Spanish, but you can watch it with an English soundtrack (that doesn't sound "telenovela dubbing" like at all, and there are also English subtitles. This "whodunnit" series wonderfully playing and subverting every teen TV show trope you thought you knew in a whole new way, is absolutely brilliant and will keep you guessing right until the end. Three working class students, after their school collapsed due to faulty construction, get the chance to go to the private school Las Encinas. Now mix together the jock, the Muslim girl, the blonde girl, the "teen queen" popular girl, the working class good guy, the working class guy's best friend, the sports star and an array of others for an addictive murder mystery. Who is gay, who is pregnant, who is addicted, who is getting murdered? We won't answer those questions but you'll find out who died at the end of the first episode. This new Nickelodeon teen series filmed in Australia revolves around the teenager Kyra who discovers a magical world existing right alongside the real world, filled with fairies, elves, and other creatures. How to do high school while helping bookstore owner and Professor Maxwell who is a teacher of magic at the Department of Magical Intervention (DMI)? The very best spy drama of the year is this new 10-episode series that has been renewed for a second season and is a modern-day version of the 1975-film, Three Days of the Condor, based on the 1974-novel. Max Irons (the actor-model son of Jeremy Irons), is the young CIA analyst Joe Turner literally running for his life, trying to solve a vast conspiracy within the CIA as vicious assassins are hot on his trail in a frenetic, Terminator 2-like chase that's seemingly without end. William Hunt and Mira Sorvino bring ballast to the cast, and the tension, and unexpected twists and turns will have you gasping. The year's second best spy drama is this excellent and gripping modern-day version of the Jack Clancy's Jack Ryan character, this time with John Krasinski in the lead role of this 8-episode season executive produced by Carlton Cruse and Michael Bay, and that has been renewed for a second season. The "desk job" CIA analyst Jack Ryan stumbles upon a series of dubious bank transfers done by terrorists. Quickly he becomes drawn into an international spy operation, while he finds new love, deals with trauma from his past, and ends up having to try and save the live of the American president. This beautiful 7-episode British period drama miniseries is a retelling of William Makepeace Thackeray's famous 1848 novel about Becky Sharp (Olivia Cooke), a ruthless (but in a good way) social climber who uses her charms and intelligence to fascinate and seduce upper-class men to improve her position and circumstances in life. Until that new Downton Abbey movie in 2019, the costumes, clever story, great acting, and sumptuous backdrops will give you all the feels about that wonderful bygone 19th-century British society era. The 13-episode second season of this drama series that became available for streaming on Friday in America will drop on Showmax from 24 December. 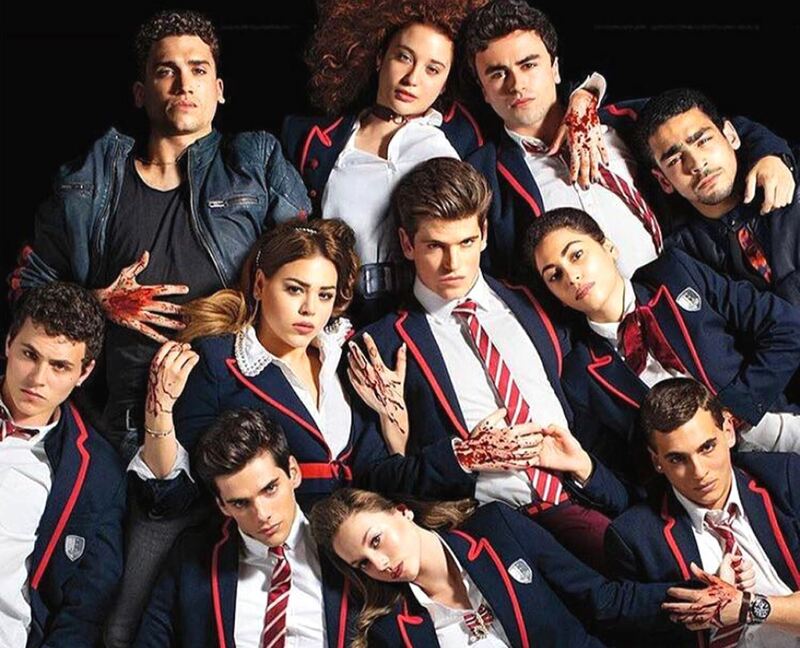 In the first season, 6 teenagers going to the same school, trying to solve a murder mystery, discover that their parents have secret superhuman powers and are hiding dark secrets. The nerd, the goth, the jock, the blonde girl, the socially-shy girl and the one with the purple hair all band together in the new season as they are on the run. They find a new place to live, as they attempt to use their new superhuman abilities as a group. 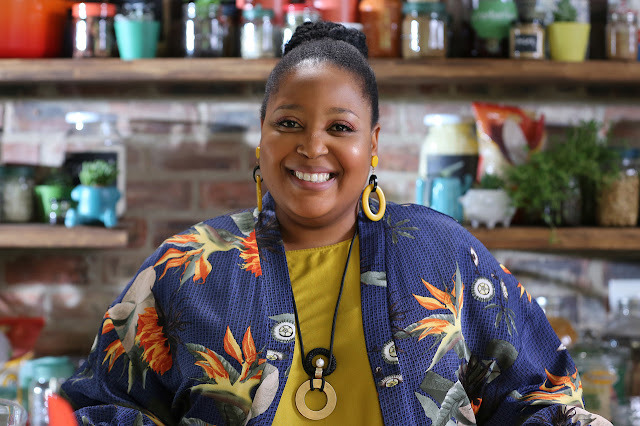 Okuhle Media behind chef Zola Nene's latest TV cooking show vehicle; with 13-episode, Celeb Feasts with Zola, starting on Mzansi Magic on 8 January 2019. Celeb Feasts with Zola is a new cooking show that will start on Mzansi Magic (DStv 161) on Tuesday 8 January at 21:30 with chef Zola Nene cooking with celebrities. The 13-episode Celeb Feasts with Zola, produced by Okuhle Media, is a cooking-talk show in which the chef does three recipes per episode while interviewing a guest and sharing cooking and baking tips with viewers in Zola's kitchen. Okuhle Media says Celeb Feasts with Zola will shows viewers how to prepare quintessential South African cuisine, while sharing personal stories from role models that can help to change lives. By the time her guests arrive, Zola Nene would have already prepared the starter. Then both celebrity and Zola go to work in the kitchen as they chop, peel, stir and share fond memories and moments that have shaped their lives. 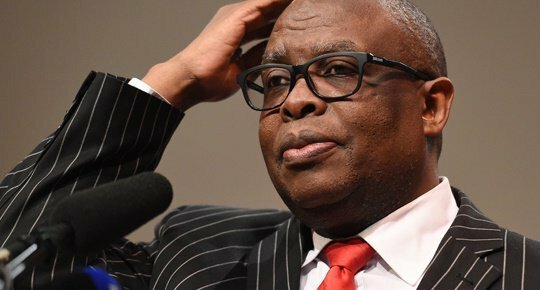 December 'farewell party' for former SABC spokesperson Kaizer Kganyago scuppered and pushed to 2019 after the public broadcaster rejects the use of its auditorium when told it's for Kaizer Kganyago. A "farewell party" for the SABC's former spokesperson Kaizer Kganyago has had to be postponed to early-2019 after the South African public broadcaster denied organisers the use of a SABC auditorium when it was told it would be for Kaizer Kganyago. The former SABC spokesperson Kaizer Kganyago left the SABC ahead of the expiry of his contract after 13 years. In mid-August Kaizer Kganyago was moved to a new role and no longer handling media enquiries on behalf of the crises-riddled South African public broadcaster after 13 years. In a brief statement in late-November, made after Kaizer Kganyago left with no prior notification from the SABC that it was happening, the SABC noted "the departure of Kaizer Kganyago from the SABC". The SABC said Kaizer Kganyago's contract expires at the end of January 2019 and that he requested to be released from his contract in November 2018 instead of serving his contract until the end of January 2019, and that the SABC agreed to let him go. Now a "farewell party" for Kaizer Kganyago planned for December has had to be scuppered and reorganised for 2019, with a planned date of 10 January 2019. The Daily Sun reports that the SABC rejected the application of the Limpopo Artists Movement permission to have a farewell party for Kaizer Kganyago in the auditorium at the SABC's offices in Limpopo after being told that it would be for Kaizer Kganyago. The SABC reaches complete financial collapse as the CIPC threatens to shut down or place the insolvent South African public broadcaster under business rescue. SABC spokesperson Neo Momodu says the South African public broadcaster blames Hlaudi Motsoeneng for the "complete financial and governance collapse" of the SABC as the Companies and Intellectual Property Commission (CIPC) now demands that the commercially insolvent SABC must explain why it's not trading recklessly under insolvent circumstances and that could see it being shut down or placed under business rescue. The SABC's liabilities are exceeding its assets by R1.8 billion and the SABC has 20 working days to respond to the CIPC. The SABC is busy putting together a response to the CIPC, but the CIPC could force the SABC to be placed under so-called "business rescue", or to even be shut down given the lack of government help. President Cyril Ramaphosa and latest minister of communications, Stella Ndabeni-Abrahams, have done little to nothing to secure another bailout for the crippled SABC in the form of a government-guaranteed loan. In the last days of the end of 2018, the jetset minister rather flew off to Vienna to attend an international conference instead of giving all her time and urgent attention to prevent the SABC from collapse before 2019's election year while mass retrenchments are looming at the broadcaster. Only half of TV production companies and producers were paid in December some of what they're owed by the SABC as debts to producers supplying programming to the broadcaster keep mounting, while the SABC has had to beg the City of Johannesburg not to cut off its electricity which the SABC can no longer afford to pay in full. From February 2019 the SABC will no longer be able to pay all SABC staff salaries, and from March 2019 no salaries, it told parliament. The gutted SABC, destroyed by corruption and wasteful and irregular spending like the R27.7 million on the notorious and flopped Thank You SABC Concert that the SABC claimed it wasn't paying for - is limping along with an inquorate board of only four SABC board members. On Sunday City Press reported that SABC spokesperson Neo Momodu said the SABC's financial implosion is blamed on irregular spending and bad previous management in the form of the famously matricless Hlaudi Motsoeneng. The newspaper details a litany of forensic cases of the Special Investigating Unit (SIU) into the shocking and shameless looting of SABC finances under the horrific reign of Hlaudi Motsoeneng as former COO and former CEO James Aguma. "The SABC would like to make it clear that Hlaudi Motsoeneng was the central figure in the complete financial and governance collapse of the corporation which the current executive management is redressing". The SABC blames Hlaudi Motsoeneng "for the massive damage he has caused" the SABC. iflix dumps Africa, sells its last remaining share to Econet Group that will now run streaming video service Kwesé iflix alone. The video streaming service iflix that has been struggling to get a foothold in Africa has finally dumped Africa to refocus on its Asia business, with the Malaysia-based business selling its last remaining share to the Econet Group that will now be running the former joint venture brand, Kwesé iflix, on its own. 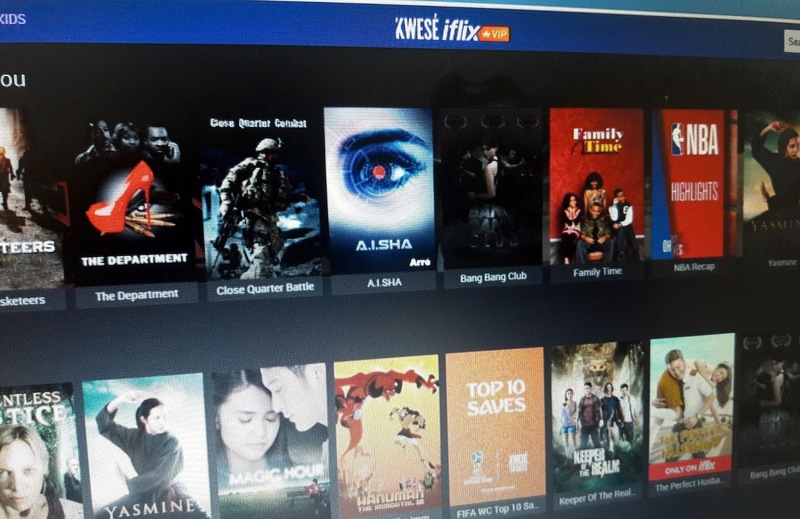 Kwesé iflix operates in 8 African countries - Nigeria, Ghana, Kenya, Uganda, Tanzania, Ethiopia, Zambia and Zimbabwe - with Econet planning to expand the service further. iflix and Kwesé iflix provides regionalised access to live sport, entertainment, an assortment of local and international series and movies, and some first-to-market exclusive programming. iflix entered sub-Saharan Africa in 2017, after it then decided to team up with Econet's Kwesé that has since run into financial problems of its own. Econet's pay-TV division, Kwesé Media, acquired a stake in iflix in February 2018 to help create the Kwesé iflix brand that it will now operate on its own. The past few months iflix got cold feet and reduced its share until now completely getting out of Kwesé iflix. In Africa Kwesé iflix competes with Netflix, Amazon Prime Video, as well as Naspers' streaming service Showmax run by the MultiChoice Group, with the MultiChoice Group that will be spun off and list separately during the first half of 2019. "It has been an incredible journey and learning experience, launching our service in Africa. The acquisition by the Econet Group, our regional partner and Africa's leading broadcast network, is a significant milestone for the African business, and further reinforces iflix's commitment to our core markets in Asia, particularly Indonesia, Malaysia and the Philippines which continue to grow from strength to strength," says Mark Britt, iflix CEO and co-founder, in a statement. Hardy Pemhiwa, CEO of Econet Global, says in the statement that "the conclusion of our acquisition of iflix Africa is a natural progression for our revised business strategy as a group, particularly the Kwesé business, which offers premium broadcasting services". "With the immense growth and positive uptake of video-on-demand (VOD) and over-the-top (OTT) services across the continent, we believe connected services – particularly mobile – are the future of broadcasting in Africa." Hardy Pemhiwa says Kwesé iflix's original programming portfolio of of homegrown content will hopefully expand as Kwesé iflix rolls out into more African countries. "The recently launched Kwesé iflix original Nganya, of Kenyan origin, has already enjoyed immense success. We look forward to continuing this trajectory with the introduction of an impressive slate of original programming, with an exciting Tanzanian telenovela set to launch in February 2019". Nigeria's TStv now promises a yet another new subscription model - pay-as-you-go with 'an hourly rate' - as the faltering pay-TV upstart announces a partnership with Azerbaijan's satellite operator, Azercosmos. The faltering TStv wannabe Nigerian pay-TV operator that has kept lying to consumers and distrobutors on Friday held a press conference in Abuja, Nigeria, to announce that it is once again "re-strategising" to stealmarket share from MultiChoice's DStv, China's Startimes and other pay-TV players in the West African nation. So far TStv has remained silent about how it lied about its initial TV channels line-up that was bogus, has remained silent about how it illegally pirated TV channels without authorisation and deliberately stole content, has remained silent about lying to distributors and would-be agents about its decoders that never arrived and kept changing, while TStv hasn't said a word about the numerous false promises and false starts. TStv suffered massive brand and reputational damage from bad management and multiple lies and fraudulent public statements by Bright Echefu, TStv CEO. On Friday Benjamin Sida, TStv chief operating officer (COO), at a pre-Christmas press conference, once again promised yet another new TStv subscription model change, now saying that TStv's soon-to-be-introduced subscription model will be a pay-as-you-go system, allowing TStv subscribers to watch "all available channels" but charging "an hourly rate". TStv will run a single TStv channels bouquet with around 70 TV channels, and all these TV channels will be made available to subscribers at an "hourly rate". Benjamin Sida also name-dropped a new company - Azercosmos, that TStv is now in partnership with. "Azercosmos is an open joint stock company and a satellite operator based in Azerbaijan, and the first satellite operator in Caucasus region. We have entered into partnership to improve our content offering. We are also in various advanced talks with other international content providers to acquire more premium content and channels," said Benjamin Sida. Benjamin Sida said that TStv "has not abandoned" Nigerians, and that TStv has "In our bid to serve our customers better, recruited seasoned, experienced talents and, veterans who have occupied similar roles and capacities in the pay tv industry to manage TStv". M-Net shamelessly paired The Bachelor SA's Lee Thompson with puppies. And you WANT to see it. What is more sexier than a young bachelor? 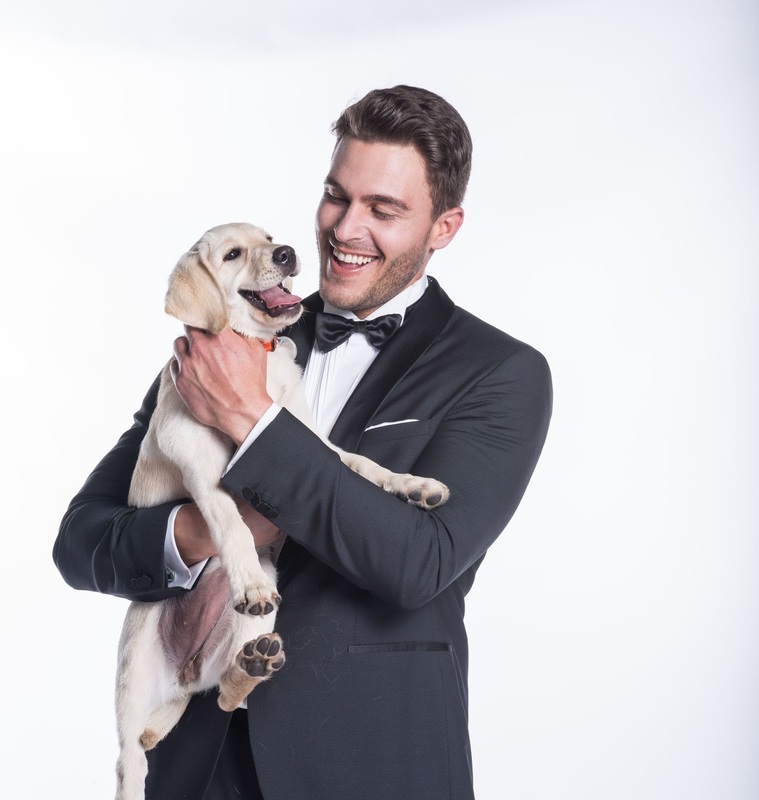 A bachelor with a puppy. Because M-Net's The Bachelor South Africa starting on Valentine's Day, 14 February 2019, got Dotsure.co.za, a pet insurance provider in South Africa, as the main sponsor for the Rapid Blue produced reality dating show, M-Net shamelessly - shamelessly - did a photo shoot with the bachelor Lee Thompson and cute dogs. Did we mention it's totally shameless? Did we mention it's totally adorable and cute. Did we mention that we don't deserve dogs? While sponsors of shows and insurance companies don't usually get earned media unless something goes wrong (here's looking at you Momentum), M-Net and Dotsure.co.za have been so darn clever that media cannot help but firstly run the photos, and with it a kind of a story. "Dotsure.co.za is extremely proud to play matchmaker and put true love in the spotlight," says David Roache, Dotsure managing director. "It's the ideal opportunity to remind pet owners about the responsibilities of looking after their furry friends and to raise awareness of the plight of all those homeless ones who are in desperate need of affection and a caring home." For The Bachelor South Africa, Dotsure.co.za has created an "unconditional love"campaign through which the pet insurance company will educate the public on the importance of adopting shelter animals. "I don't want to let the cat out of the bag," says Lani Lombard, M-Net's head of publicity. 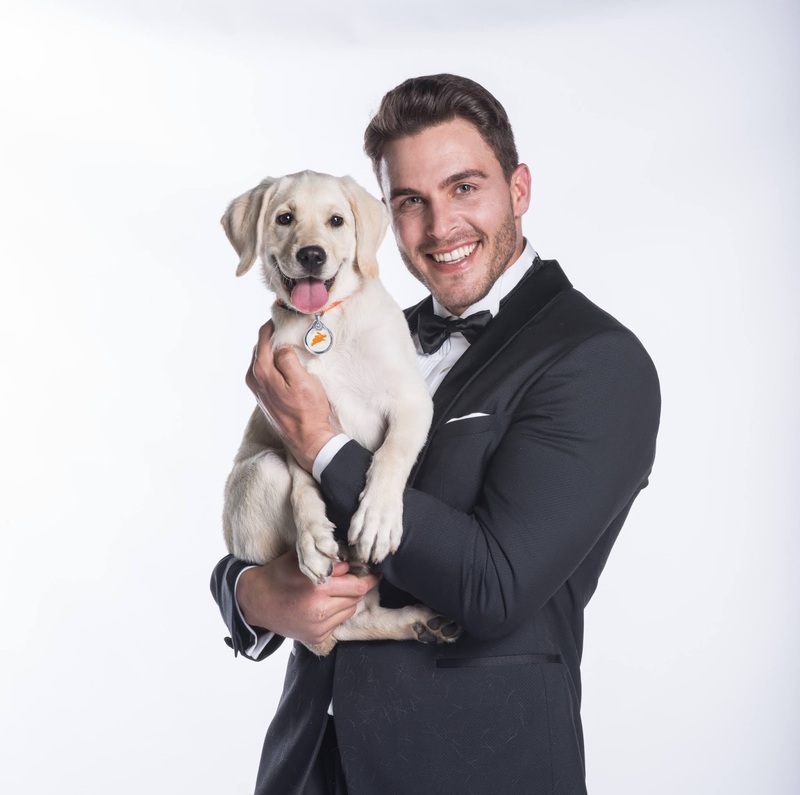 "But Lee is quite the charmer when he's surrounded by animals.On one of the show's dates he will make hearts melt with his furry friends and Dotsure.co.za has also created a fun-filled commercial in which our Bachelor interacts with tail-wagging fans." 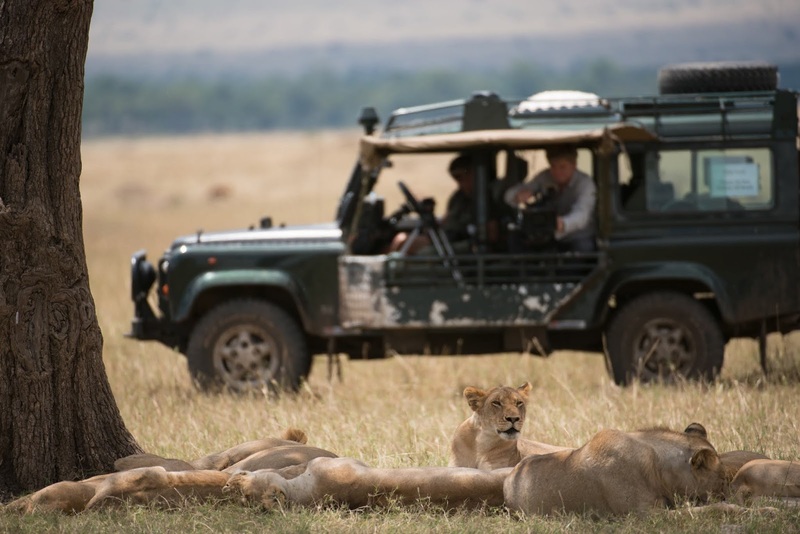 Lee Thompson says "it's been quite a daunting task for me to choose the love of my life while the cameras are rolling, and interacting with these amazing animals was a great stress-reliever. Their unconditional live reminded me what life should be all about. It's all about giving your all and looking after the ones you care about". Lee Thompson doesn't have a pet right now but is planning to get one after The Bachelor South Africa once he settles down. The little 6-month old Jack Russel is named Khalisi, of course after the character in Game of Thrones seen on M-Net (DStv 101) and which will see its final season broadcast Express from the US on M-Net in 2019. The Labrador puppy is called Storm. Now look at man's best friend licking Lee's face. 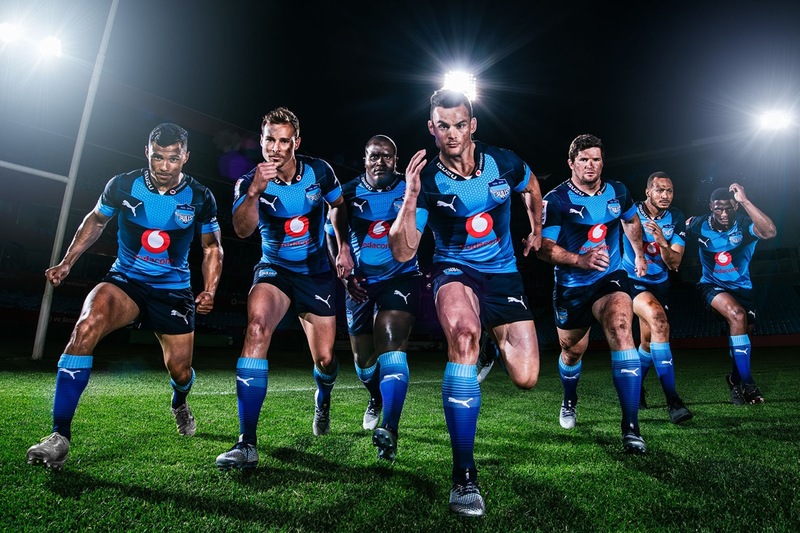 MultiChoice gives 20 000 tickets away to DStv Premium, Compact Plus and Compact subscribers for SuperSport and Vodacom's Super Hero Sunday rugby matches on 3 February 2019. MultiChoice is giving 20 000 tickets away to DStv Premium, DStv Compact Plus and DStv Compact subscribers for the two Super Hero Sunday Super Rugby warm-up rugby matches taking place on Sunday, 3 February in Cape Town. Four of South Africa's Vodacom Super Rugby teams will wear shirts inspired by some of The Walt Disney Company's Marvel super heroes with MultiChoice that is giving away 20 000 free tickets to DStv subscribers at https://rewards.dstv.com/superherosunday . The warm-up matches and Super Hero tie-up is part of a new plan to try and turn around dwindling crowds and interest for the Super Rugby. At 14:00 on Sunday, 3 February the Emirates Lions (inspired by Spider-Man) will play against the Cell C Sharks (inspired by Black Panther) at the Cape Town Stadium, followed by the DHL Stormers (inspired by Thor), playing against the Vodacom Bulls (inspired by Captain America). "Marvel Super Heroes are among the most loved and recognisable characters in the world, very much like local Super Rugby players and clubs," says Luke Roberts, The Walt Disney Company Africa retail director. "Whether it's Spider-Man's genius and agility, Thor's strength and endurance, Captain America's honour and strategy or Black Panther's speed and stamina, we are thrilled to collaborate with clubs in this year's South African Conference in Super Rugby, aligning these character attributes with our own iconic teams." Gideon Khobane, SuperSport CEO, says "These are great times in sport with innovation pivotal to success, which is why SuperSport is thrilled to support the Super Heroes initiative". The official Super Rugby 2019 season kicks off on 15 February 2019 and will be broadcast on SuperSport. NFVF needs money to stage the 13th South African Film and Television Awards (Saftas) in March 2019, appoints Clive Morris Productions to produce. The beleaguered National Film and Video Foundation (NFVF) that's been roiled by corruption is trying to improve its local TV and film awards, announcing Clive Morris Productions (CMP) as the production company for the 13th South Africa Film and Television Awards (Saftas), while it's desperately looking for funds to stage it. Meanwhile the Saftas technical awards that used to take place a few days before the main awards show, will now be taking place on the same day or be incorporated into the main show. The NFVF and the Saftas continues to be slammed for mounting an amateurish and unprofessional awards show, embarrassing the local TV and film industry whose professional level of work and output it is supposed to showcase and celebrate. Shadrack Bokaba who has taken over as acting NFVF CEO, after Zama Mkosi abruptly quit and left under a cloud in mid-2018, says the "judging process is fair, credible and inclusive" for the upcoming 13th Saftas that will be broadcast on SABC2 on Saturday, 2 March 2019, starting with a red carpet show at 19:00, followed by the main awards show at 20:00. At 2 March, the 13th South African Film and Television Awards will be almost a month earlier than the date of 24 March this year, leaving producers and organisers precious little time to prepare. The Saftas will also once again be held at the Sun City resort in the North West province, despite electricity blackouts this year than scuppered planned press events, the media not being told or able to get access to panel discussions, and criticism about the distance forcing talent, nominees and attendees to drive back to Johannesburg after the awards show very late at night. Asked why the Saftas will again be held at Sun City given these problems, the NFVF says "Sun City is chosen in an effort to diversify and ensure film and TV related activities are spread across the under-services provinces". "The North West province, in partnership with the North West department of culture, arts and traditional affairs, entered into a partnership that includes yearlong activities to develop the film industry in the province." After ongoing criticism over the Saftas shoddy production values and multiple mistakes marring the awards show both for the in-studio crowd as well as viewers at home, the NFVF has awarded the tender to execute and deliver the live broadcast of the 13th Saftas to Clive Morris Productions. The NFVF tells TVwithThinus that the usual Saftas technical awards preceding the main ceremony as a separate awards show evening two days prior will in 2019 no longer be happening over two different days but "will happen in one day in order to allow everyone in the industry to honour and celebrate each other, while promoting the creativity, quality and excellence". Asked why the NFVF has been able to secure SABC2 as the broadcast channel much earlier than in the past, and Clive Morris Productions as the production company, the NFVF says "it hopes to continue our partnership with the SABC allowing viewers from all over South Africa the opportunity to celebrate with all the winners" and that "the tender process concluded earlier in the hope to begin the preparations timeously". 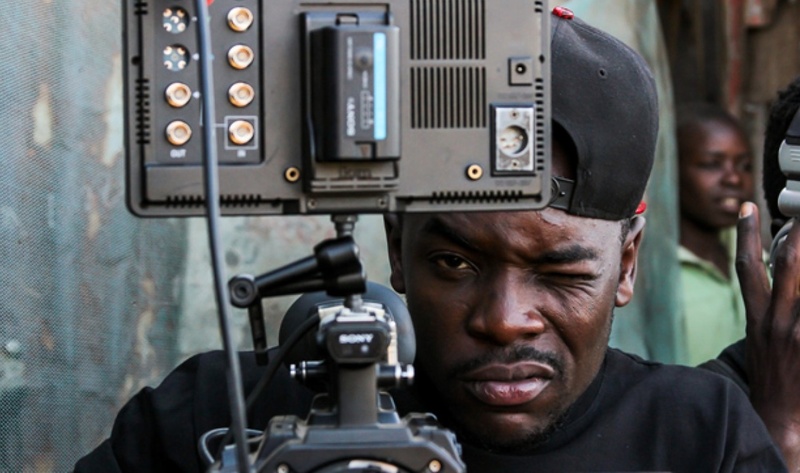 While Zama Mkosi was previously listed and given an end-credit as executive producer although she wasn't part of the production company actually doing the awards show broadcast, the NFVF was asked if Shadrack Bokaba will be getting an executive producer credit in 2019. The NFVF says "the executive producers are decided during the production process". The past few years the NFVF has been embroiled in various allegations of money wasting and mismanagement of funds by senior executives, seriously damaging the credibility and reputation of the NFVF with the organisation that has seen its relationship with both the TV and film industry deteriorate, as well as with the media. 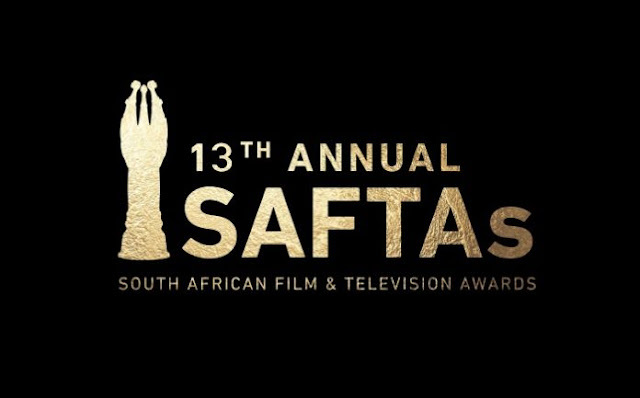 The Saftas also suffers from an ongoing boycott by South African production companies and shows damaging the award show's credibility with the NFVF that has done little besides lipservice to address producers' concerns regarding the Saftas structure, transparency over judging and other issues. For the past number of years the Saftas' Most Popular TV Soap category voted for by viewers has also been a hollow victory with an incomplete list, since local soaps are blocked from being eligible if they don't enter any of the other categories - a lock-out rule the NFVF has refused to change. It has made it impossible for instance for Generations on SABC1 or Muvhango on SABC2 to win despite being two of the most-watched TV shows in South Africa, two of the shows that continued a boycott against the Saftas in 2018. Like for the 12th Saftas, the overall judging chairpersons for the 13th Saftas are producer Firdoze Bulbulia and the South African singer, actress, and playwright Thembi Mtshali-Jones, with judging that started in November. The second phase of judging will start in January 2019. The nominees for the 13th South Africa Film and Television Awards will be announced in February 2019 with the industry hoping that the NFVF will drastically improve the way the nominees announcement media event is organised, presented and executed, following similar, ongoing criticism about unprofessionalism for the 12th Saftas and in the past. Meanwhile the NFVF, where a forensic investigation this year found that NFVF staffers and council members took family members with them on luxury trips to Sun City, says it's looking for funds for the Saftas. Shadrack Bokaba says the "NFVF is working tirelessly to try and source funding for the awards. The awards are funded through partnerships, and I urge both public and private sector partners to come together and assist us in honouring and celebration excellence in our industry". "I would like to thank all the producers for submitting their content and reiterate that these awards are on a voluntary basis. Work and talent that is not submitted by the producers of the respective shows and films cannot be considered." South Africa's banned Chicken Licken colonisation TV commercial from Joe Public United that the Advertising Regulatory Board (ARB) censored and ordered off of TV is going global with worldwide attention. South Africa's banned and judged "offensive" "Big John" Chicken Licken TV commercial that the Advertising Regulatory Board (ARB) ordered off of television because it "trivialises" colonialism is now going global with with worldwide attention as people elsewhere like it and sees nothing wrong with it. Chicken Licken's offensive Big John TV commercial was produced by Joe Public United and Grant de Sousa of They Shoot Films, with Grant de Sousa as director, Darren Gordon as executive producer and actor Lusindiso Zondani in the lead role. 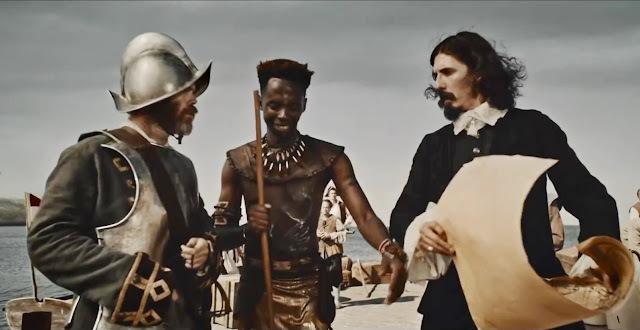 In Chicken Licken's "Big John" TV advert, a modern-day Chicken Licken customer relates the story of a young black South African, John Mjohnana or "Big John", who in 1650 undertook a fantastical journey and eventually finding and "colonising" Europe. The Advertising Regulatory Board - that recently replaced the bankrupt advertising Standards Authority - in one if its first rulings found that after Sandile Cele complained, that the "Big John" TV commercial amounts to offensive advertising and banned it, saying it's unsuitable for South African viewers. The Advertising Regulatory Board ruled that "The fact that the commercial is far-fetched and over-the-top does not nullify the potential offense" and that "atrocities suffered by Africans under colonialism are well documented and the legacy thereof continues to exist to date. This experience can never be rewritten differently and cannot be trivialised in any manner". Chicken Licken plans to lodge an appeal against the Advertising Regulatory Board's ruling. Meanwhile the "Big John" TV commercial has gone viral globally, racking up global views on YouTube, as well as getting press attention in various international media and in newswire stories. By Thursday evening the YouTube views of the "Big John" advert has jumped to over 333 000 views online as news services embedded the TV commercial for global viewers watching it online although South African viewers are banned from seeing it on TV in their country. The newswire services (AP) did a story as did AFP that also syndicated a report, with reports appearing in multiple newspapers and publications and in the news feeds of news services online, ranging from multiple stories in the United Kingdom by the BBC and media there, to India, the United States and Australia, New Zealand and beyond in global media. Meanwhile overseas TV channels and TV news are having a field day broadcasting actual snippets from and showing the TV commercial that South Africa's Advertising Regulatory Board censored and doesn't want people to see. Poland's public broadcaster, TVP, is interested in buying the streaming service of Showmax Poland that is shutting down. Poland's public broadcaster, TVP, is now interested in buying the video streaming service of Showmax Poland that is soon shutting down after just over two years operating in the European country as MultiChoice refocused its attention on Africa and South Africa. Last week it was announced that after barely 2 years of operation Naspers' Showmax is abruptly cutting its losses and shutting down in Poland where it has been operating as well outside of South Africa and the rest of sub-Saharan Africa, ending the subscription video-on-demand (SVOD) service's lofty international expansion plans. Now Wirtualnew Media reports that Poland's public broadcaster is interested in possibly buying Showmax Poland from Showmax CEE, the parent company of Showmax Poland, and the rights to its content, so that it could bolster TVP's own video-on-demand (VOD) streaming service, VOD TVP. Marciej Stanecki, TVP vice-president, said that after Showmax Poland's withdrawal from the Polish market, " a certain free pace to be developed by its competitors will be created, and th fight in the Polish VOD segment is very fierce". "Telewizja Polska is potentially interested in buying content from this platform." "As a board member, I can say that we are potentially interested in purchasing the Showmax Poland platform service and license. It would be a complement to our strongly developing VOD TVP platform." "Of course, we will be able to make the final decision after conducting the valuation and confirming the content of the offer. From the point of view of TVP, the library of rights and the websites themselves are of particular interest," said Marciej Stanecki, noting that TVP had already made contact with Showmax. Maciej Sojka, the head of Showmax in Poland, told Wirtualnew Media he's not willing to comment on the TVP interest. Colleen Goodman appointed as new CEO of Tellytrack. Colleen Goodman has been appointed as the new CEO of Tellytrack, the company involved in online horse-racing betting, and running the Tellytrack (DStv 239) sports-betting TV channel. Colleen Goodman takes over from Rob Scott, who has been appointed sports betting executive for Phumelela Gaming and Leisure Ltd that runs Tellytrack and who will remain the executive head of Tellytrack, marketing and publishing. Colleen Goodman, a former MultiChoice marketing executive, will be responsible for Tellytrack as well as Phumelela Publishing. As consumers complain that they can't find Netflix South Africa's promised rand-priced gift card for the festive season, it now says many shops will only have it from 2019. As frustrated South African consumers say that they can't find the promised localised gift cards that Netflix South Africa said it would have in stores for the end-of-year festive period, the streaming service now says many shops will only have it in 2019. In October Netflix announced that it's rolling out Netflix South Africa gift cards priced in rand for local South African consumers, making it possible for users to access the global video streamer's service without the use of a credit card. The Netflix Gift Card for South Africa can be loaded with any amount between R150 to R1000 at local retailers, similar to the gift cards for MultiChoice's streaming service Showmax, iTunes and Google Play that are available in shops. 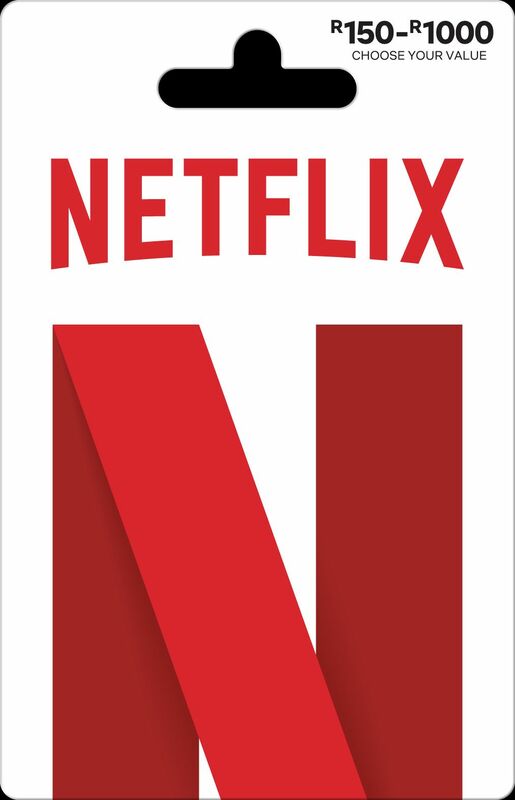 Netflix initially said that the Netflix Gift Card for South Africa would be available from Pick n Pay, HiFi Corporation, Checkers, Dis-Chem, eGifts24, Incredible Connection, Game, Dion Wired, RARU, Builders Warehouse, Game4U, AWX, Kloppers, and BT Games - but the problem is that consumers can't seem to find it. An online search for a Netflix gift card on the websites of Pick n Pay, HiFi Corporation, Incredible Connection, Game, Dion Wired, Builders Warehouse, Kloppers and BT Games turned up nothing. Netflix South Africa's PR company Eclipse PR was contacted about consumers' struggle to actually find and buy the Netflix SA gift cards in the country. Eclipse PR said "the Netflix gift cards have started rolling out gradually in market since November 2018" and again listed the names of the retailers where the Netflix gift cards are supposedly on sale. The company said Netflix SA gift cards are now available at Pick n Pay, BT Games, Builders Warehouse, eGifts24, RARU and Prepaid Gamer. "Rolling out over the next week: Dis-Chem, Game4U, AWX, Kloppers. January 2019: Checkers, HiFi Corporation, Incredible Connection, Game, Dion Wired, Makro". Specific questions asking how many Netflix SA gift cards have been placed in the market so far, if it's not available why not and when would it be, and whether Netflix is aware about complaints of these cards not being available and being a struggle for South African consumers to find, were not answered. MultiChoice Malawi promises support to film and TV producers in Malawi as pay-TV operator looks at 'localising the MultiChoice brand' in the small East-African country. MultiChoice Malawi told local filmmakers the pay-TV operator will support them to get their TV and film content broadcast on M-Net's Zambezi Magic (DStv 160) channel and is looking at "localising the MultiChoice brand" in the small East-African country. Gus Banda, MultiChoice Malawi general manager, told the media at the MultiChoice Malawi year-end showcase event for press held at the Bingu International Convention Center in Lilongwe, Malawi, that MultiChoice Malawi running DStv Malawi and GOtv Malawi is committed to investing in Malawi's fledging film and TV industry. "The future African storytellers have benefited from the MultiChoice Talent Factory (MTF) which was launched in May this year and the year ahead looks promising as we attempt to localise the MultiChoice brand, encouraging and supporting the local filmmakers to get their content on Zambezi Magic amongst other local investment highlights," said Gus Banda. "We are committed to showcasing the best African content across the continent. The digital age means we are in a position to take African stories to the world and create a global market for what we do." Chimwemwe Nyirenda, MultiChoice Malawi marketing manager said DStv subscribers in 2019 can look forward to the launch of a new DStv decoder, the Explora 3, the African Cup of Nations 2019 (Afcon) on SuperSport, and the Netball World Cup in which the Malawi Queens will be taking part. Veteran South African sports commentator Duane Dell'Oca leaves the SABC. The veteran South African sports commentator Duane Dell'Oca has left the beleaguered SABC after 15 years where the veteran commentator covered a wide range of sports, especially football, for the South African public broadcaster. KickOff first reported Duane Dell'Oca's departure from the SABC. 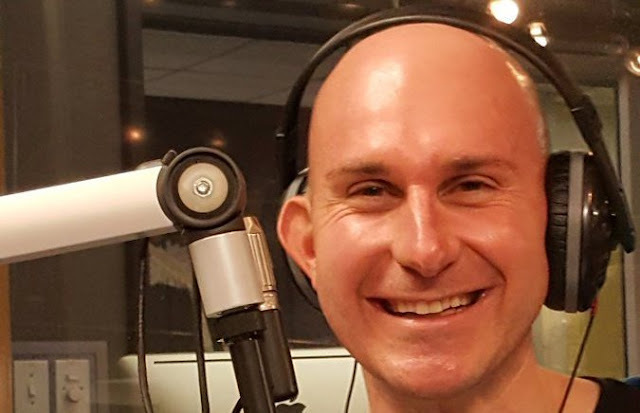 Duane Dell'Oca did sports commentating for the SABC on a wide range of sports, especially the Olympic Games, South Africa's national football team, Bafana Bafana, and Premier Soccer League (PSL) matches. Duane Dell'Oca also presented a bi-weekly show on SAfm before Thabiso Mosia took over, and was a commentator on SABC1's weeklt football show, SoccerZone. 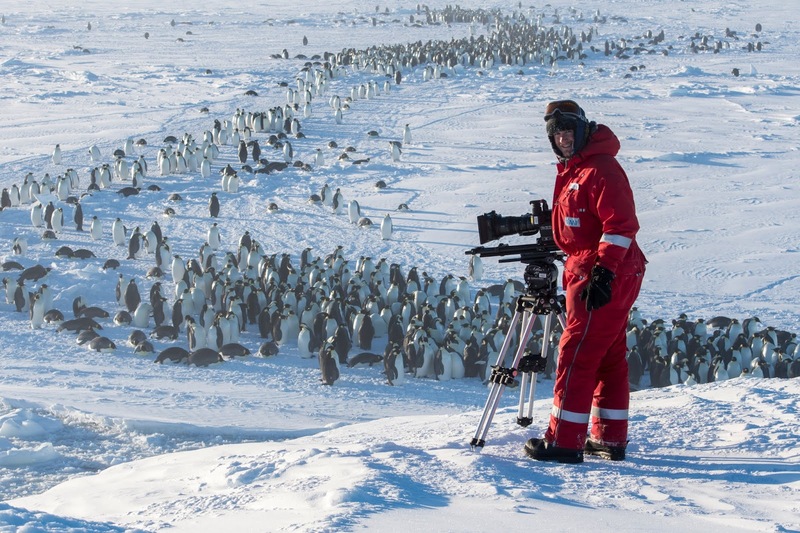 Natural history series, Dynasties, on BBC Earth ending Sunday with a special 'Making of' 6th episode as BBC film crews reveal their difficulties and challenges capturing the jaw-dropping wildlife scenes. 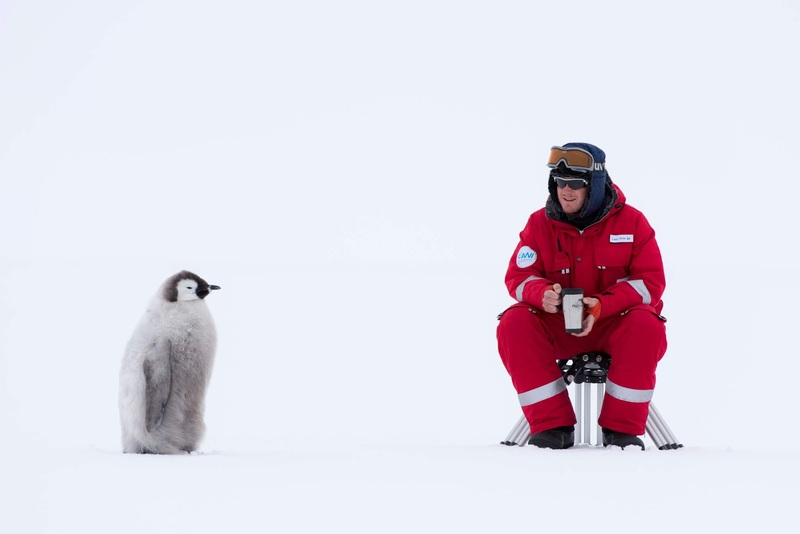 The BBC' new natural history series, Dynasties, with Sir David Attenborough as narrator will end this Sunday on BBC Earth (DStv 184) at 16:00 with a special "Making of" 6th episode, revealing some of what went happened behind-the-scenes of the 5 episodes, how the unexpected and jaw-dropping moments were captured and some of the difficulties the various film crews experienced. 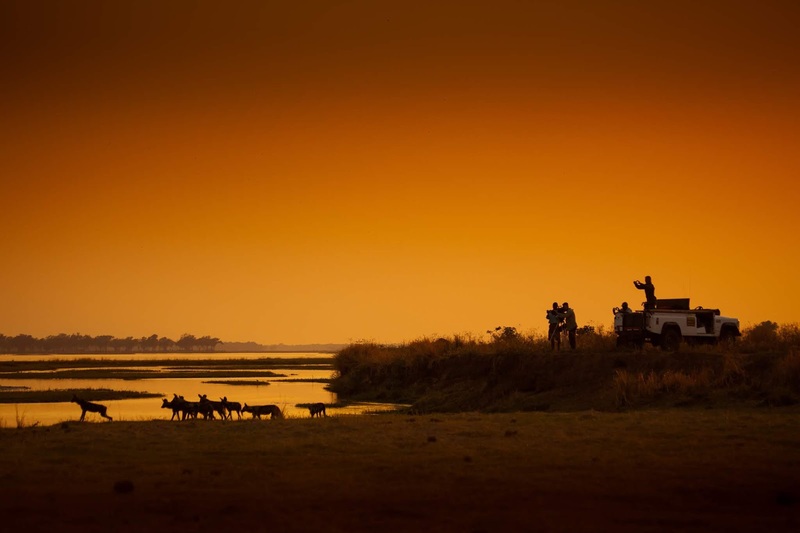 For each of the 5 episodes from the BBC Natural History Unit, covering a chimpanzee leader in West-Senegal (309 days), penguins in Antarctica (11 months there, 6 months filming), an African lioness in Kenya (420) days), a painted wolf mother and daughter in Zimbabwe (669 days) and a tiger in India (220 days), various film crews literally spent hundreds of days each in the various locations, filming thousands of hours of footage. 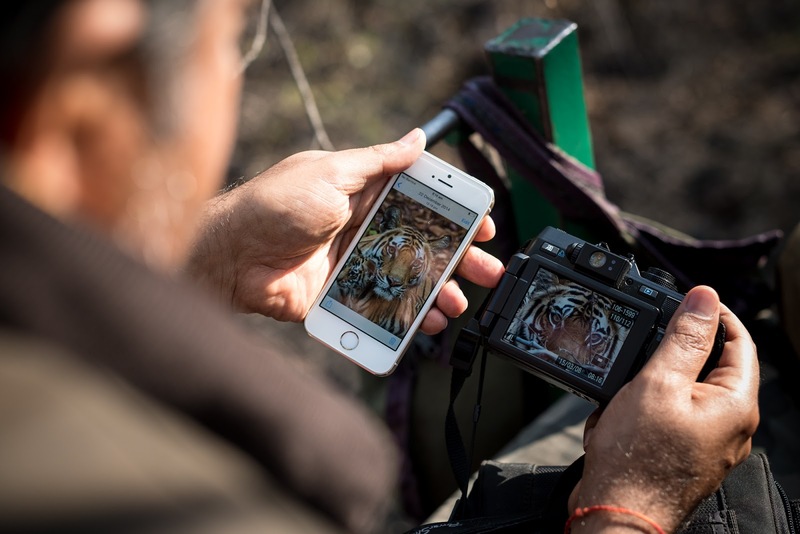 The various film crews, tracking five of the world's most celebrated and endangered animals on Earth, had no idea how events would play out as the animals fought for their own survival and the future of their families against overwhelming odds. 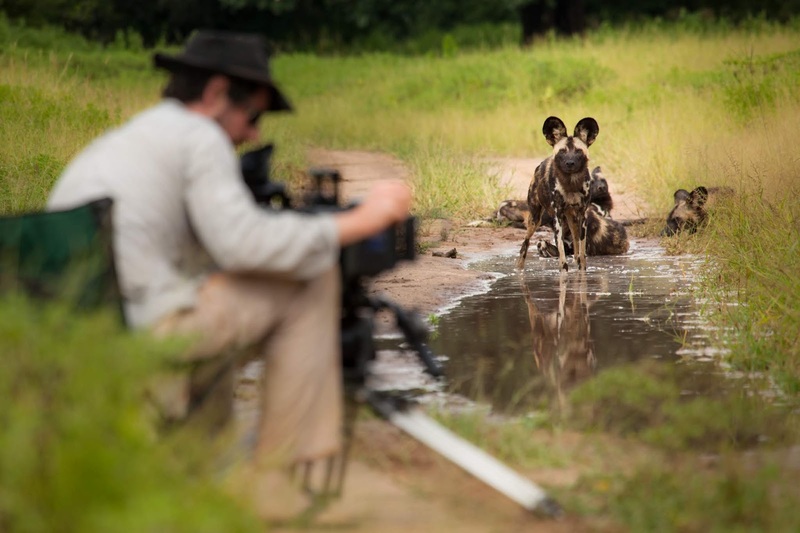 The 6th "Making of" episode of Dynasties will show how the film crews not only battled nature and harsh weather circumstances and other environmental challenges, but also encountered unpredictable animal behaviour and caught never-before-seen animal behaviour on film. 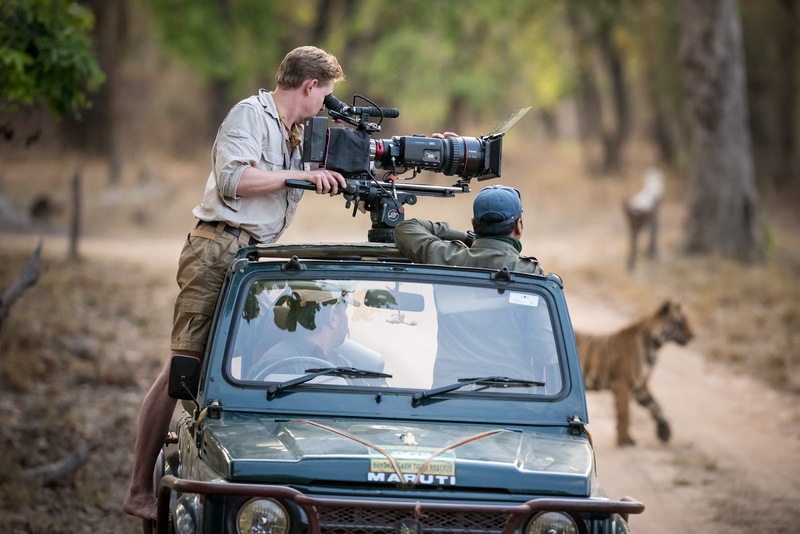 The special episode looks back on key moments in the making of Dynasties and explores the difficulties and triumphs the crew experienced while filming the series.